What’s So Great About Orlando For Couples? Everyone knows Orlando is the place for great family holidays, but it has equal appeal for couples, too. There are an increasing range of activities and options just for grown-ups, while the style and complexity of many existing attractions are geared just as much towards adults as kids. Disney and the other theme parks have discovered that a more sophisticated approach to drinking and dining, as well as the rides, is a big hit with their customers. At the same time, Orlando has become a bright young city in its own right, with a vibrant downtown area. It all adds up to a fascinating – and high-quality – mix of live entertainment, bars, coffee-houses and dining, with a huge variety of restaurants and a rapidly-growing craft beer scene. As a major city in south-east USA, Orlando attracts many big-name performers to its premier concert venue of the Amway Center in downtown. Other headline locations include Hard Rock Live (in Universal’s CityWalk entertainment district) and the House Of Blues venue in Disney Springs. All three provide top-notch places to catch major acts while also offering great food and beverage options. For a more intimate style, The Plaza Live, in the trendy Milk District part of town, offers a mix of music and comedy with national headliners, while featuring a diverse beer selection. Likewise, perennial downtown fave The Social serves up great sounds from up-and-coming Indie bands, plus occasional big-name acts looking to play somewhere more personal. But, if you’re here, you also want to catch some local music, right? In that case, head to Disney Springs (the entertainment hub of the massive Walt Disney World resort) any night of the week, and you will find a huge variety of live performers, from classical to rap and jazz to rock. And all for free. If you’re lucky, you might catch the hugely talented Evan Taylor Jones and his take on memorable soul, rock and funk. While it’s practically impossible not to find a Starbucks everywhere these days, there are some highly original, local alternatives for a great cappuccino, espresso or more, and Foxtail Coffee Co. should definitely be on your list. This eclectic hideaway in Winter Park, with its mock industrial setting, has its own roastery and variety of blends, all sourced from eco-friendly Fair Trade growers worldwide. 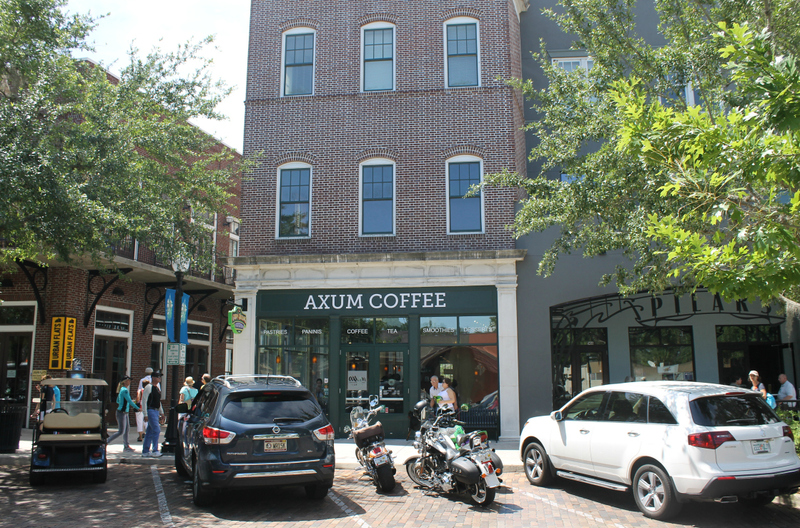 The suburb of Winter Garden is well worth a visit in its own right, especially as it boasts the bohemian style of Axum Coffee, a community gathering place that donates all of its profits to charities and other worthy causes. It is named for a poverty-hit city in Ethiopia and has its main shop in the high street as well as a new roastery in hip Plant Street Market. The coffee is pretty good, too. If you like a bit of comedy with your brew, Drunken Monkey Coffee Bar in the Milk District offers Stand-Up and Open Mic nights Friday and Saturday to go with their range of organic coffees – all roasted in-house – and vegan and veggie soups, sandwiches and snacks. Tasty. There’s no shortage of imaginative bars and lounges throughout Orlando, with even the theme parks boasting a fabulous array of grown-up libations to tickle the tastebuds. Witness the Cava del Tequila in Epcot’s Mexico pavilion, where their range of 100-plus tequilas and mezcals is supported by magnificent cocktails. Don’t miss the Coffee Mezcal Margarita – dessert in a glass! When the temperature heats up, you’ll definitely want to cool down and there are no better places than ICEBAR Orlando and Minus 5° Ice Experience. Both located on busy International Drive, the former features its signature Ice Bar (thermal coats and gloves provided) as well as the Fire Lounge to warm up afterwards, while the latter offers a range of different ‘ice experiences’ (including a faux fur coat upgrade) to go with its speciality cocktails and authentic ice-palace interior. That ‘something different’ factor is in evidence at The Imperial at Washburn Imports. 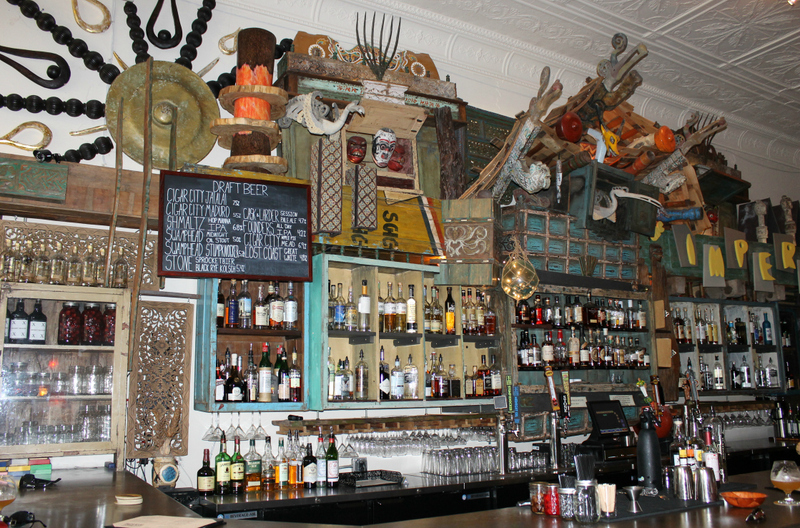 Antique furniture store by day, it becomes an eclectic bar and cocktail lounge by night, serving up original hand-crafted cocktails and an impressive array of craft beers. Beer lovers should also acquaint themselves with the Central Florida Ale Trail. With 18 different independent breweries (and counting), this is definitely a brew-pub profusion. Pick up a map at the Broken Cauldron Taproom, and just keep going! This is where visitors are most spoiled for choice in Orlando these days. 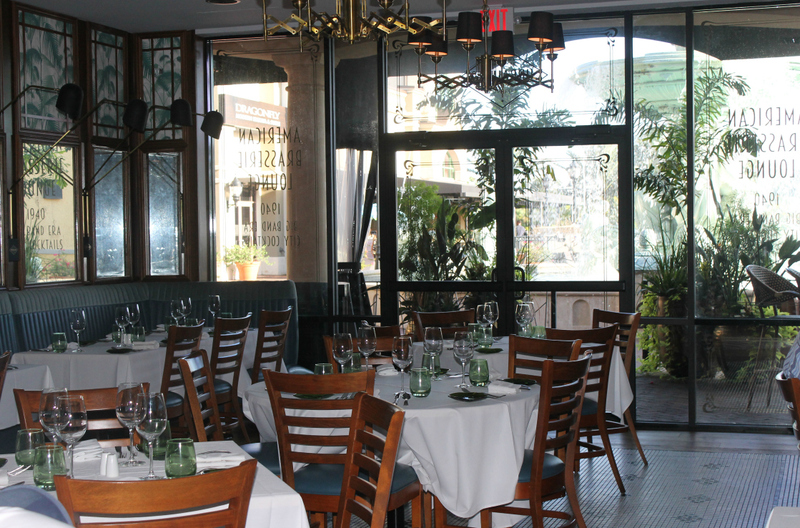 The array of fine dining has mushroomed in recent years, with big-name celebrity chefs like Todd English and Emeril Lagasse all jostling with the best in local cuisine. 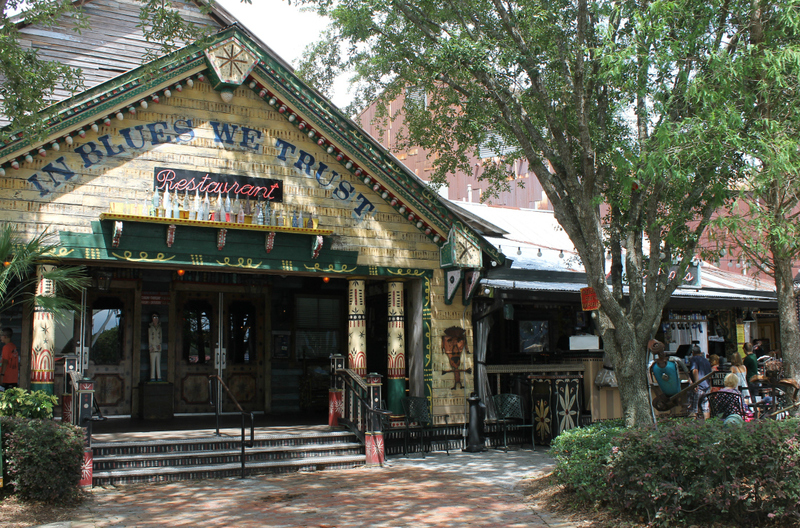 Winter Park’s The Ravenous Pig has quickly become a local institution under the ownership of James Beard Award nominees James and Julie Petrakis. Renowned for sustainable food from locally-sourced providers, the menu changes seasonally and features fine seafood, steak and chops, much of it with Southern flavours, as well as a superb Sunday Brunch. Plus, it comes with the bonus of the fab Cask & Larder Brewery. Fans of 1940s chic and fashion will want to try Urbain 40, where the American Brasserie style is accompanied by memorable cuisine (think modern American meets Continental, with a touch of vintage Supper Club chic), to go with cool jazz sounds in the Big Band-era lounge. Steak lovers should beat a path to the door of A Land Remembered. Tucked away in the golf club of the swish Shingle Creek Resort, this restaurant – named for a famous Floridian historical novel – is nicely elegant, with formal overtones. The steaks are simply gorgeous and worth coming a long way for. Finally, for pure eye appeal, Emeril’s Tchoup-Chop (inside Universal’s Royal Pacific Resort) takes some beating. The hugely impressive Zen-style décor surrounds diners with its exquisite ambience – and the Pacific-Asian fusion cuisine is even better. Often booked for dinner, it offers lunch, too. Don’t miss it.